I've been posting a lot of videos lately, while I ponder new posts about writing. For me, it's generally more enjoyable to watch videos online in full screen, rather than the small format presented here on the blog and on YouTube. To watch in full screen, look for the button in the bottom right corner of the video, which looks like four arrows pointing outward, expanding a square. It looks like this. To return to normal screen mode, press the Esc button in the uppder left corner of your PC keyboard. 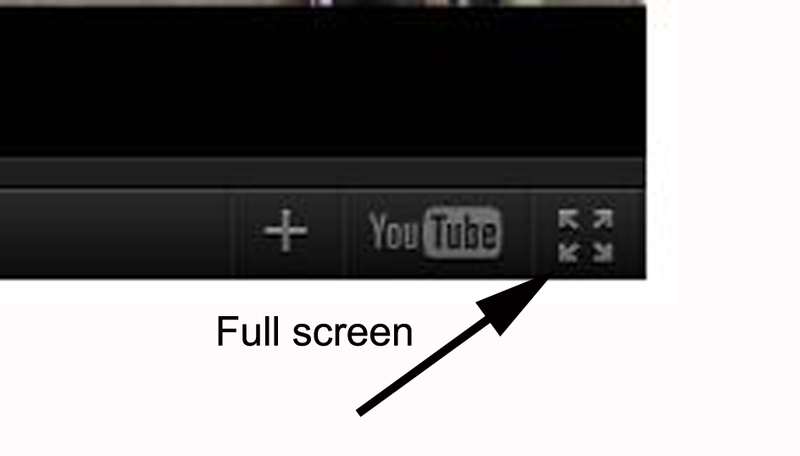 By the way, the little button that says YouTube takes you to the YouTube site to watch the video there. Sometimes that's better, especially if the video is loading and playing slowly through the blog. I hope you're enjoying the little movies.